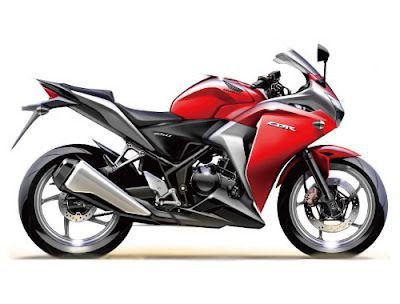 Honda CBR 250 R is one of the upcoming bikes that Honda has planned to launch this year. This bike will offer power, comfort, class as well as experience to the bike enthusiasts that have planned to acquire one when they are launched. It is expected that the bike will be launched in the early half of the early half of the year 2011 probably in the month of February. It is not clear how much the bike will go for but Rs 15,000 is what is needed if one wants to book one unit now. 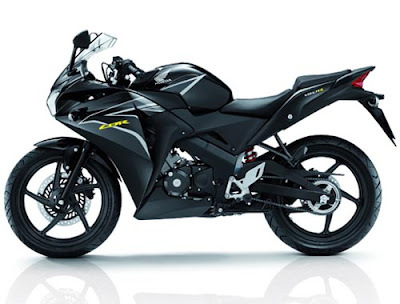 Some of the features that Honda CBR 250R is expected to have include:- dimensions of 2030 mm, 709 mm, 1127 mm, 1369 mm, 784 mm and 148 mm in length, width, height, wheelbase, seat height and ground clearance respectively. The bike also comes with an engine that has the following engine specifications: - a 249.4 cc engine type, the engine that this bike uses is a water cooled engine that is also a 4 valve engine type. 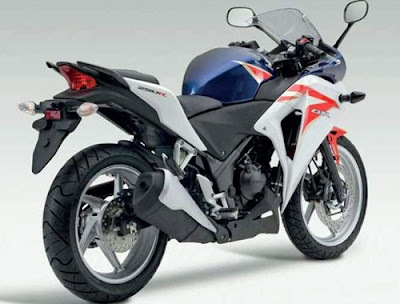 Honda CBR 250R is a type of bike that can be able to produce an amazing power of up to 18.7 KW which can be attained at 8500 revolutions per minute. The bikes maximum torque is also impressive at about 22.9 Nm which can be produced at about 7000 revolutions per minute. This bike is just like the other Honda bikes those include features like fuel efficient and deliver about 27 kilometres with one litre of petrol from its 13 litre fuel tank. Hence it is suitable for long distance rides. It is also expected that since Honda is known making safe vehicles with reliable brakes, it will transfer that to this bike and make it as safe as possible. The new Honda CBR 250R has got a 296 mm disc that also has a two piston callipers. This bike has a sporty design and that makes it more attractive. The bikes seat is 784 mm above the level of the ground hence can be driven by even the average sized people. The bikes seats are also comfortable and together with the bikes foot pegs and handle bars the rider experiences maximum comfort. Honda is a reputable company from Japan that has earned itself a big market share in the world when it comes to the manufacturing of Motor vehicles as well as motor bikes. Honda has branches in many parts of the world that it uses to ensure that all its customers get their products as soon as they are launched.